A new leak photo of 4-Inch iPhone claims that it will be very identical to iPhone 6 and iPhone 6S externally. Apple’s 4-inch iPhone might not be that powerful in terms of specifications but it has a long live with rumors as today yet another leaks contradicts the previous leak which says 4-inch iPhone which is alleged to be iPhone 5SE or iPhone 5E will be an enhanced version of iPhone 5S with iPhone 6 internals. Contradicting this claim is Gijs Raggers who shared a photo of unidentified iPhone next to an iPhone 5 on One More Thing website. 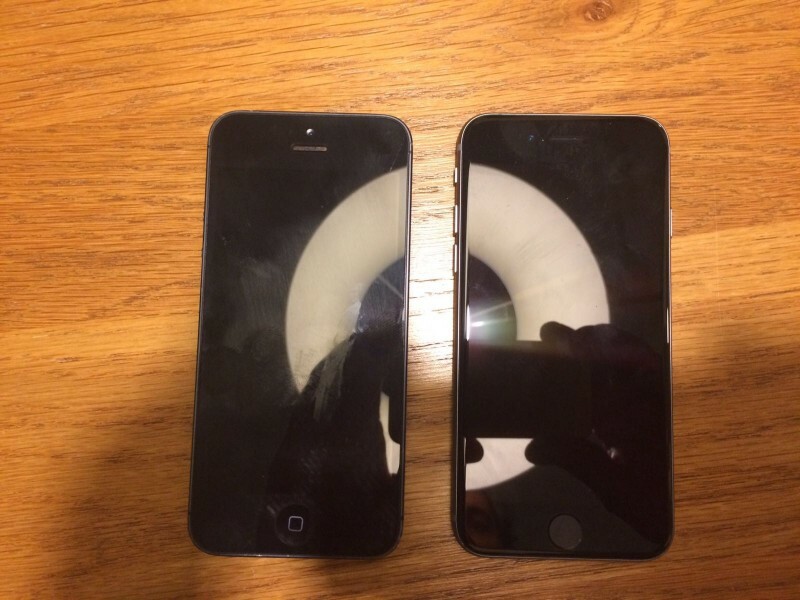 Posting on the site’s forum, Gijs claims that the purported 4-inch iPhone is with same size as that of iPhone 5 but looks very identical to iPhone 6 and iPhone 6S externally. The unidentified iPhone here has curved glass edges, relocated FaceTime camera, power button and Volume button located on the right side bezel. Furthermore it has thinner bezel than iPhone 5 or iPhone 5S as claimed earlier.